This video is the latest medium in the advertising world and a new concept for this business. Locksmiths do not traditionally invest in marketing campaigns of this nature, so this is a new effort to guage the effectiveness of video advertising for locksmiths. The new Bioaxxis deadbolt has just been added to our inventory. This sensational new product can be installed with a Bilock cylinder, making one of the finest high security deadbolts available today. Using a Bilock cylinder in this product makes the BD1, the only 100% guaranteed bump and pick proof, fingerprint biometric deadbolt available. The beauty about this new combination is that it can be retrofitted in place of virtually any existing deadbolt application. Bioaxxis also produce other similar products including safes, lever entrance sets and combination entrance sets, biometric entrance sets with key and code button override. 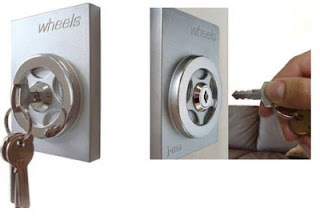 There are two grades available for the deadbolt. Grade 1 and Grade 2. Mebeam have released their updated version that now allows up to 18 individual users simultanoeus use all FREE! Mebeam is the culmination of about 3 years beta testing of the superb Wigiwigi framework being developed by a very talented Australian programmer. I am a long term member of the beta testing network and we are pleased with this latest devlopment. Visit www.mebeam.com and try it yourself. Transcend, a worldwide leader in Flash memory devices, proudly announced the arrival of its latest trendy USB flash drive, the fashionable JetFlash™ V90 “Classic” keychain USB flash drive. A perfect addition to any set of keys, wallet or purse, the V90C features a distinctive metallic swirl pattern that appears to move when light catches it at different angles. Although delicate in appearance, this miniature flash drive’s shiny metal casing offers solid protection for your valuable data hiding inside. Although it boasts a huge 4GB of memory for storing thousands of files, JetFlash V90C measures only 33.8 mm long by 13.1 mm wide, and is just 4.5 mm thick. Incredibly tiny and lightweight (7g), the sleek JetFlash V90C is designed for business travelers and people who need to carry data effortlessly while on the move. 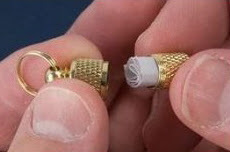 It is so small that you may even forget that you are carrying a large capacity 4GB flash drive with you. The JetFlash V90C is truly a marriage of fashion and technology not only due to its great looks and distinctive styling, but also because it performs brilliantly as an advanced storage device. Transcend’s JetFlash V90C comes bundled with JetFlash elite data management tools that run directly from the JetFlash without having to install any software on your PC, so you can use them on any computer you plug your V90C into. JetFlash elite lets you use your V90C as a key to automatically log on to all your website accounts, or to lock your computer when you’re away. It also lets you browse the Internet and check your email from any compatible computer with Mobile Email and Internet Favorites. Not only does the JetFlash V90 Classic offer timeless distinctive styling, ultra-portable size, and a wealth of high-tech features, it is also backed by Transcend’s industry-leading lifetime warranty. You want to keep your home and your family safe, right? Did you know most building codes don't even require locks on doors? The first step to a good home security plan is having solid doors and windows in place, and this includes locks. Not all locks are created equal, and some older ones are downright flimsy. If you think someone could kick open your door, it's probably time to go lock shopping. Likewise, if you live in an apartment or a house where the locks haven't been changed since you moved in, changing the locks makes a lot of sense. There's just no way of knowing how many spare copies of your keys are out there. Install Grade 1 ANSI (American National Standards Institute) designation deadbolt type locks on exterior doors, doors between living spaces and attached garages, and garage man doors (even if the garage is separate from the house--most garages are full of tools a burglar could use to break into your home). Burglars know they are more work. If they can't easily kick in a door, pick a lock, or drill out a door lock, they're likely to move onto an easier target. Just having solid deadbolt locks tells a burglar you care about home security, and you may very well have a full-fledged home security system in place. That's something they generally don't want to mess with. For other locks on your doors, stick with solid Grade 1 ANSI designated locks. Make sure to practice key control (i.e. don't lend copies of your key out to everyone and their relatives), since many keys can simply be copied by local hardware stores. In-home help, in particular, can be troublesome, especially if they're fired and left disgruntled, or they have acquaintances who burglarize homes (this is more common than you might think). Also be wary because mechanics can copy your house keys while your car is being worked on (this can be avoided by simply not giving them the house key along with the car key when you have work done). To further protect yourself, consider going with a manufacturer that puts out keys that can't be copied by anyone except locksmiths or by the manufacturers themselves (these people keep records and won't let just anybody copy your key). Yes, this kind of key control can be a bit of an inconvenience, but it goes a long ways toward making your home more secure. -High Security Strike Plates (while all door locks come with strike plates, not all of them do much; a high-security version has screw holes that are staggered so they don't penetrate the same grain of wood, which makes it difficult for a burglar to split the wood door frame or wall framing with a kick or other impact). -Captured Key or Double Cylinder Deadbolt Locks (these have keyholes on both sides, so a burglar can't break open a window pane next to the door, reach in, and disengage the lock from the inside--consider this type of lock a must if you have glass near your door). Now you're thinking about how important locks are to a home security plan. Compared to alarms and security cameras and other high-tech solutions you can purchase, doors and windows are inexpensive to secure, and yet they are the first best defense in keeping out burglars. TC Thorn runs a site on home security and has articles you might want to check out on fingerprint door locks and changing door locks. It's coming! In fact it's already here in at least 9 states in the USA. The great state of Tennessee just introduced a bill for licensing. Below is a recent article about the issue from The Mountain Press. It's nice when you drive down the road and see a police officer helping a motorist unlock the door of their vehicle. It's a good sign, like seeing an officer working with children or giving directions to tourists. But unlocking some of these modern cars is a tricky thing, even dangerous. Side air bags can be set off, and there can be damage to the window or lock from trying to force open the door. For those reasons and more, a new state law has kicked in that prevents police officers from providing locksmithing services to motorists. While it may seem as if we've lost a special connection and public service, in fact we are preventing problems and backlash. The Locksmith Licensing Act of 2006 provides that only professionally licensed locksmiths can offer those services. It's the same thinking that requires a license for massage therapists, real estate agents and hairdressers. It's not designed to restrict trade or keep people from earning a living. It's meant to ensure that those who do those jobs have the training and expertise to perform the tasks. Police officers do not. Police officers are trained in law enforcement, in responding to emergencies and investigating crime. They are not necessarily trained, nor should they be, in how to unlock a motorist's car. While that may be the very definition of a public servant, in fact there are inherent risks in officers trying to unlock a vehicle car. If the car is damaged in such an effort, who's at fault? If an air bag deploys accidentally during the try to open the car, who's at fault? Police chiefs and their officers certainly have mixed feelings about the new law, and for sure motorists don't like it. In Pigeon Forge officers regularly helped stranded motorists. It was a nice touch assisting the tourists, and certainly left those who got the help having good thoughts about the city they just visited. But the downside and potential problems overwhelmed the good that was done. And with what surely was some intensive lobbying by the locksmith fraternity, the law has been enacted. Now when you call the police station they'll give you a list of professional locksmiths you can contact for assistance, or be directed to telephone listings for others. Police will call a locksmith if asked to by the motorist. But no more jimmying open a car door or trying to figure out the myriad kinds of locks that you find on cars these days. Yes, a certain Mayberryesque service has been lost, but in this case, it's really the best thing. If we hear about a burglary, perhaps in our own neighborhood, it increases the fear that we ourselves may get a visit from a burglar. This is a natural reaction. If we are away from our home for the day, perhaps at work, we might even spend the day worrying what we might find when we arrive back home. If a house on your block got broken into what is there to stop your house being burgled is the reasoning you may make. This reasoning is actually quite healthy, if you fear being burgled you may take steps to prevent it from happening. However, fearing burglary too much is not healthy, worrying too much about being burgled could stop you from living a happy and enjoyable life. You could end up a prisoner in your own home if you convince yourself that criminals are waiting to break in if you even think about going out. Not giving any consideration at all to the fact that many homes do get burgled and yours could be one of them is, on the other hand, extremely foolhardy. Taking the attitude that you need not take any home security precautions will likely mean that you will come home to find that you have had a visit from the bad guys. Home security precautions do two things, they reduce the likelihood of a break in and they reduce your fear of a break in. Taking reasonable steps to protect your home improves the chances that a burglar will leave your home alone and look for one less protected. Installing a capable alarm system will go a long way to decrease the chance of coming home to find that you have been burgled. Likewise the knowledge that you have effective locks fitted to your windows and doors will help you to feel more secure. Joining and actively participating in your local neighborhood watch is one of the most effective things you can do to avoid being a victim. Neighbor looking out for neighbor helps reduce the fear of burglary. You are not the only one that knows fear. The burglar fears being caught. He knows that the longer he takes to burgle your home the greater chance he has of being caught. He knows that the more noise that he makes when breaking in to your home the more it is likely that the police will be alerted. He knows that the more he is exposed the greater chance he has of being spotted. The more you can increase the burglar's fear the less you are at risk, and the less you are at risk, the less fear you have. Increasing the burglar's fear and reducing your own must be a good thing. 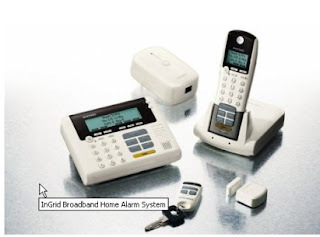 There is nothing that you can do to completely take away the risk of being burgled but if you have a good home security alarm system the burglar will likely fear setting it off. If you have good quality locks fitted the burglar will likely fear it will take him too long to defeat them and he will make too much noise doing it. If you have good outside security lighting and have your neighbors looking out for you the burglar will fear being spotted. It may not be a good thing to be completely unafraid of burglars, it could make you careless, but good home security precautions can help reduce your fear so that your life is less impacted by it. And good home security precautions can increase the burglar's fear so that he leaves your home alone. Martin Underwood contributes articles about the steps that you can take to beat the burglar and protect your home to Surveillance For Security The site that presents reviews and information about the best in home security, personal security and vehicle security. Shunted locks are just one of the items an emergency locksmith must know well. A shunt is the process of turning aside or moving to an alternate course, a bypass. Shunted locks come in different brands. One of those brands is that of an a British company named Bramah. The prices for a Bramah shunted lock can go up to $193. These locks are made for wooden doors, metal doors, sliding doors, and cabinets. A shunt switch is used in a vandal-resistant mortise lock. These locks are used in places such as emergency exits. The complexity of these alarm locks requires educated intelligence on the part of the locksmith who may be required to repair or replace such a lock. Locksmiths may also be called in a situation where an exit or emergency door has been locked or jammed. There are doors that must legally remain unlocked. Any time they have become illegally obstructed, the locksmith may be called to undo the damage. Sometimes these doors are obstructed because of poor management or because of disgruntled employees. Locksmiths can be especially important to hospitals, convalescent homes, ambulance services, and police stations. Emergency and health care facilities are of high priority in a locksmith business. Although some people would categorize simply being locked out of their vehicle as an emergency, there are situations that are of a higher priority. If someone's health or life is at stake or if a criminal situation occurs that requires immediate response, the priority must be put on these situations. Some emergency locksmith businesses that advertise fast service operate from Atlanta, Georgia to San Francisco, California. There are several businesses that operate out of many offices across the United States. One has to be especially careful about hiring an emergency locksmith. There have been instances where locksmiths who have operated for years have been found to incorrectly bill the customers out of greed. One locksmith was fired from a hospital after eighteen years of service because he became greedy. He had an elaborate scheme which involved two other employees as well as him. This is an exception to the norm, though. We have to place our trust in someone, and there are many locksmiths who work hard to earn the trust and deserve it. Just as there are people in other professions who turn bad, there are also bad locksmiths. It doesn't make the profession bad, just that person. In general it is an honorable and respected position and the men and women who enter it must go through a lot to become professionals, including becoming registered in a way that allows the police department and the Better Business Bureau to investigate their background. The majority are proud of their upstanding public image and work hard to maintain control of it. Locksmiths working with emergency personnel and police are another way they keep us safe. They repair damage done by criminals, install systems that make it harder for criminals to gain illegal entry, and provide us with a sense of inner peace. 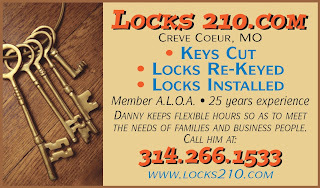 Locks210.com, a division of Master Key Systems America LLC, founded by Danny Gurvis, is widely experienced in Master Key System design, installation, maintenance and service. Danny has been designing sophisticated master key systems for commercial, industrial and residential properties for most of the last 25 years. In modern times, with the assistance of sophisticated computer technology, Danny has helped to design superior systems for large schools and universities. Using Bilock as his preferred system of choice, because of it's modern and unique design, it's unparalleled security aspects and it's ability to fit a wide range of existing hardware already in the market, Danny continues to provide this clearly superior product and service to commercial, industrial and residential tennants in the St Louis, Missouri region. For a no obligation appraisal and consultation, call (314) 266-1533 now! combination to be changed in seconds, provides second-to-none key controls, offers fast and efficient maintenance and large virtually unlimited master keying system capabilities! So-called "Master Key" systems have almost become a generic term. Real Master Key Systems that can incorporate switch locks, perimiter locks, filing cabinet locks, garage door locks and virtually any lock on the market today are much rarer, and BiLock is very rare. Because it offers virtually infinite combinations with tightly controlled security, it gives both the locksmith and the end user confidence and flexibility. It's the Companys understanding of what a true Master Key System requires that has positioned BiLock at the forefront in todays security market. The BiLock key system utilises up to 12 chambers with 4 depths per chamber. The numerical sum of these combinations gives 16,777,216 actual key combinations per profile. 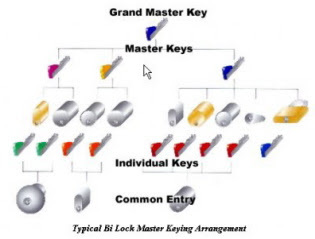 Powerful Master Key Systems can be generated from these combinations. It also makes possible an authentic and convenient one key system for each individual user authorised to access any particular area, building or group of buildings. Authorised BiLock agents use a computerised master key generation system, which allows them to build seriously complex Master Key Systems without compromising system security. Having been a past recipient of two prestigious Australian Design Awards for innovation excellence and the Australian Government's Small Business and Manufacturer of the Year Awards, the Quality Assured, Australian Lock Company, stands in good stead to further its national and international sales of Bilock high security locking systems. With a modern 3400 square meter factory just 1.5 hours South of Sydney and a network of more than 140 accredited locksmith agents Australia-wide, the Company is reportedly this nation's only fully Australian owned, exporter of Australian made, high security lock cylinder and keying systems. That system is Bilock which offers a gamut of features including pick resistance, the unique QCC (interchangeable core), more than 350 cylinder types, 16.7 million combinations per profile, legal protection, incomparable key control, 8,500 key head colour combinations and a unique dual-bladed key with Braille option. You may be surprised to know that many of Australia's icons use Bilock, from the Crown Entertainment Complex and Federation Square in Melbourne to Sydney's Parliament House and Sydney Harbour Foreshore Authority to our country's airline, Qantas and our National Gallery, Archives, War Memorial, Museum, Family Law Courts and Supreme Court complex, just to name a few of those icons! In addition, many Banks in Australia and major government departments use Bilock. In fact, the Western Australian Police Services use Bilock exclusively to secure all their stations and facilities throughout the state on an enviable master key system that provides the absolute premium in key control. The Company has built a global market by ensuring flexibility in both design and application. Our unique commitment to project-specific product requirements and our expanding global network of agents ensure most high security lock requirements world-wide can now be met by Australian Lock. Now the Company offers QCC and colour coded construction keying, sales of Bilock have never been stronger. The POOLPROTECTOR pool alarm is the result of thorough and quality design and high manufacturing techniques. Pool Protector is an electronics monitoring system that automatically sounds an alarm when children or pet fall into your unsupervised pool. 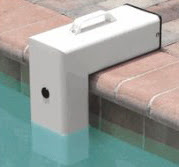 POOLPROTECTOR is a portable, self-contained, light weight unit that is safe and simple to operate. Entry into the pool will be detected by the unit’s electronics sensor, triggering a loud pulsating alarm and an internal RF transmitter. If someone who does not know how to put the POOL ALARM in sleep mode attempts to remove the alarm, it will sound an alarm. 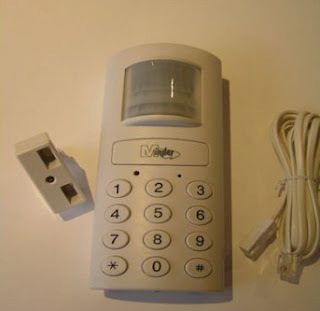 The Pool Alarm comes with a remote receiver which can be mounted in your home up to 200 feet from the main unit. It comes with a 12 volt power supply. The Pool Alarm uses one a 9-volt battery (not included) which should last approximately one year. POOL PROTECTOR is sold with a year limited warranty to cover defects in parts and workmanship for one year from date of purchase. Retain proof of purchase. Forget everything you’ve ever thought about home security. Instead, imagine total home protection that you can easily install yourself, is nearly impossible for intruders to defeat, is professionally monitored, and can be controlled from anywhere within your home or around the world. Meet InGrid. Unusually simple to set up and operate, yet highly sophisticated to give you maximum protection along with real, professional monitoring. Most security systems can be defeated by intruders in seconds by simply cutting wires. InGrid is different. It is wireless, completely digital and runs reliably through your internet connection, with lots of redundancies for extra safety, such as a back up phone connection. With components spread around your home, and sensors on every door and window, it’s almost impossible for anyone to defeat InGrid. The revolutionary design of Bilock is years ahead of it's time. Bilock is the only fully guaranteed Bump and Pick proof pin tumbler product on the US market. The Australian designed Bilock Extreme Security locking system. 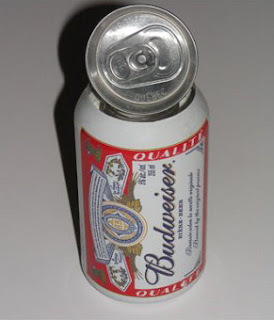 Now manufactured under license in the United States, this competitively priced product CANNOT be picked or bumped. The unique key design is available in your choice of almost 9000 colour combinations. The key system can be used in almost all existing lock hardware products in the market. 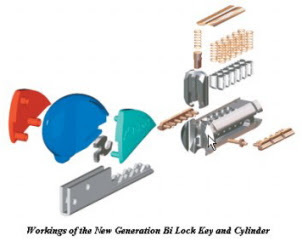 New Generation BiLock offers the security concious an innovative new look, twin bladed key which operates a 12-pin program of tumbler pins, six on either side. 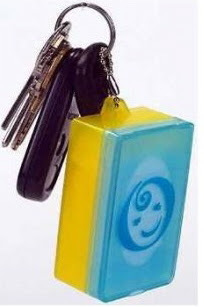 These pins, in turn, activate two side-bars to provide the end user with up to 16.7 million possible lock combinations. In addition to a space age moving element within the key an extraordinarily shaped, horizontally postitioned security rod has been built into the cylinder core to activate the 13th locking dimension. Without the moving element, this 13th dimension cannot be activated, this adds yet another feature to BiLock's already exceptional level of security. Wireless Access Control products have been around for a few years now but the quality has left some to be desired. OSI Security Devices Inc. have been providing leading educational institutions across the world, superior products for quite some time. Perhaps not as well known as the larger companies, OSI have produced this incredible new product that offers many of the same advantages of a hard wired system but in a stand alone wireless access control format. Enter the OM250 (pictured here). Access Levels: Unlocked, Code Required, and Lockout. Antitamper: Temporary disables keypad for period of 10 seconds if 3 invalid codes are entered. Prevents hackers from "guessing" codes. Audit: retains activity of the last 250 events, including entries, scheduled actions, antitamper mode, daylight savings setting, and user attempts. Time schedule: Set eight events per day for each of the seven days the week. Plus, 32 holiday schedules with 2 varying holiday schedules. Autocode: Allows programming of all 250 codes instantly!! Through membership in ALOA, I recently obtained the factory certification from OSI at a course they ran during ALOA Charlotte 2007. The Wireless Remote-Controlled Pan And Tilt Surveillance Camera. Wireless PTZ (Pan/Tilt/Zoom) cameras have been surfacing in the marketplace with more vigour recently due to the market demanding increased functions for decreased infrastructure costs. Aving News Network, one of the global leaders in security industry reporting, recently interviewed Anders Laurin, Vice President of AXIS, one of the top 10 network security firms in Sweden. The future of CCTV in many parts of the world is changing. Consumers are demanding more user friendly equipment, wireless access to that equipment and having it software driven rather than hardware driven. Came across this new device today. A USB Combination Padlock. Does this open up possibilities? I was sitting here thinking about the bumping phenomena that is so relevant today and got reminded about our signature product Bilock. Mentioned previously on this site, I have been working with a very talented Australian programmer for the last few years in development of a video conferencing tool and application that can be used over the world wide web and best of all it is completely FREE!. Mebeam is a completely new way to have real time - live, super fast video and audio connections with friends, family or business contacts. The only requirements are broadband connections (for better quality), a webcam (with microphone if possible), speakers and/or headset. There is no program to download, it is very user friendly, easy to use. Simply open your browser and type in http://www.mebeam.com/ into your address bar. The instructions that appear are self explanatory. To test it out, click on testroom. If there is a conversation happening (and there often is) you can see what it's like. 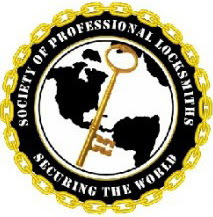 Locks210.com (Master Key Systems America LLC) is very pleased to have become a full member of The Society Of Professional Locksmiths (SOPL).This new organisation brings together many of the industries leaders in forming a super professional and ethical society. One of the prime purposes of SOPL, is to foster the continued growth of the locksmith industry through superior training opportunities with the Security Technical Institute. "The Security Technical Institute offers educational programs with a "blended" learning environment utilizing the power of the Internet to deliver lesson plans, testing, interactive chat, forums, SCORM/AICC presentations, and much more. Learner participation is archived along with historical proficiency performance for all your accreditation needs. STI is a depository for the delivery of educational material developed for you to succeed in your career as a provider of security related services." With many jurisdictions considering and implementing legislation to license locksmiths, the same authorities are also looking to provide certified training courses aimed at producing suitably qualified and authorised technicians. The incredible depth of modules and format of training, is a testament to the many long hours and initiatives employed by the principals, in developing this clearly superior training regimen. Currently there are 9 states in the USA that have enacted licensing of the trade and a further 16 states have legislation in discussion. One of the common stumbling blocks in many legislative discussions, happens to be the lack of suitable training programs for technicians. Other industries have seen fit to address educational requirements as a fundamental ingredient of licensing legislation. With the forward thinking initiatives of SOPL and The Security Technical Institute, it may become easier for new jurisdictions to enact legislation thereby protecting both consumers and technicians alike. White House, Pentagon, US Embassies not secure! White House and Pentagon and US Embassies worldwide have been found wanting in their physical security systems. DefCon15 last week in Las Vegas, Nevada revealed to the world that the door locks at the above locations are NOT secure. Many and varied news reporting agencies are reporting. Bilock manufactures a range of cam locks tailored to work together with their keying systems, to enable the security and convenience conscious to maintain one uniform keying system across their entire range of products. These pictures show some of the Bilock range of cam locks and their measurements. Locks210.com can tailor professionally designed and manufactured keying systems including these cam locks in your system, maximising convenience and accessibility. With the power of Promaster Keymanager and the Promaster 5 master keying software, Locks210.com now offers our clients to easily manage, locate and order their keys. 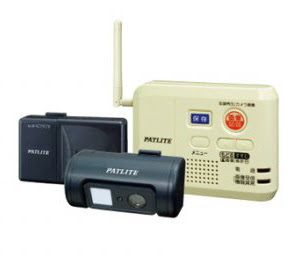 This revolutionary new camera from Patlite Japan, is brand new and not currently available in the USA. This small security color camera can easily be stored above the main entrance to your home or office. 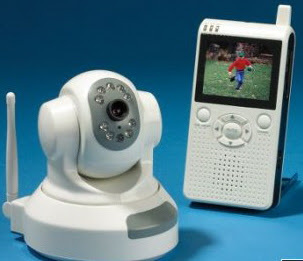 The camera uses radio frequency (2.4GHz) to transmit picture to the receiver unit. As no wiring is required, the receiver unit can be placed conveniently inside your home or office. The picture taken, can easily be viewed on your TV. The waterproof camera has the ability to store up to 50 photos at a time, offering the ability to have photo evidence of persons in your home or office. Camera angles are adlustable. 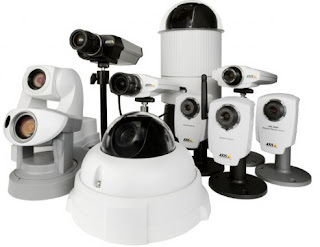 This will be another competitively priced security package based on CCTV technology without video recording option. Locks210.com is pleased to introduce this fundamental component of our business. ProMaster 5 is without a doubt, the most comprehensive and easy to use master-key system management tool available anywhere in the world. ProMaster 5 is powerful, versatile and robust, and has been designed to meet the requirements of lock manufacturers and professional locksmiths worldwide. Along with this phenomenal software, we are pleased to make available Promaster Keymanager. Promaster Keymanager is a robust and powerful tool designed to help system administrators perfect their key control tasks. For quite some time now, I have been extolling the virtues of the Bilock lock system and continually explaining to all, the misleading statements being bandied about by Medeco and certain locksport groups that the Medeco product was supposedly bump proof. This week at DefCon 15, evidence was produced exposing Medeco locks are indeed susceptible to bumping and picking. Here is a video showing a 12 year old girl bumping a Medeco M3 cylinder. Bioaxxis BD1 - Fingerprint scanner deadbolt. I have just returned from ALOA, the national conference of the Associated Locksmiths Of America, where I learned about the many innovative products available to the security industry. 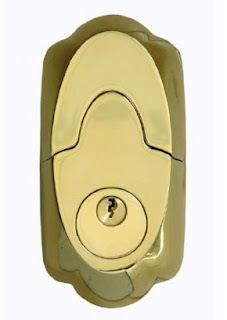 One such product is the Bioaxxis BD1 biometric deadbolt lock. Locks210.com will be including this product in our inventory in the very near future.